3. Entry Fees: $10.00 (funds go towards the event and League medals and trophies). Competition Points: 600 point scale on the British Columbia Competitive Fly Fishing League's Leader Board (1 day event with 24 participants). This will be the final competition of the season, with an intense ending, as there should be some significant movement in the Top 10 positions on the Leader Board and the awards categories! For those who do not have drogues, I will have plenty of drogues on hand. This competition will allow participants a unique opportunity to participate in a friendly-spirited competition, and to gain some additional competition experience. We also need to know which of the participants can supply a boats and electric motors for this event and the name of their team mate. Individuals will be paired up to form a team. 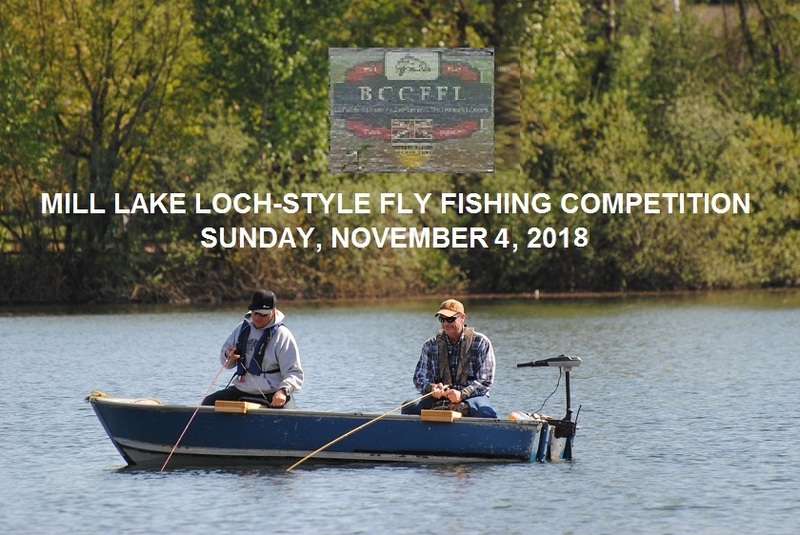 This event will be the final competition of the season for the British Columbia Competitive Fly Fishing League's 2018 season. Please email Todd Oishi at: info@innovativeflyfisher.com in order to register for this competition. We really want to encourage newcomers and fly fishers of all skill levels to come out to this fun and social event, and see what this competition and our group is all about. No need to worry if you've never fished loch-style, as it's basically fishing from a drifting boat and keeping your flies ahead of the boat while casting and retrieving your fly. It's going to be a fun and challenging event, so don't delay and sign-up today! Gordy Dykstra(defending champ) & Johnny(first loser) are back to defend the title. ON GUARD! Istvan and I will be there. Boat, motor, and fish mojo equipped. I really wish I could be there. Seriously!! I can fish with Marty ? Randy and I would love to team up and come and try it out if there's room. We have our own boat. That would be awesome seeing you two there! Will put you down for a day of fun! Lol.